Our perception of any piece of technology is greatly influenced by it’s ease of use and overall user experience. For example, when I bought my first DSLR, my decision came down to Canon vs Nikon. I tried Sony, Pentax and Olympus and didn’t like them for one reason or another, but I knew that I could be happy shooting with either Canon or Nikon. How did I finally end up making my decision? The menu system. I preferred Nikon’s menus and navigation over Canon’s, so I bought a D40. Now, eight years and tens of thousands of dollars later, I’m still a Nikon guy, all because of the difference in menu design. In this article, I’m going to share a few simple tricks that I’ve picked up over the years that make using my Nikon a little bit easier. To some of you, these might be completely obvious and old news, but to others they might very well change the way you view and use your camera! All images shown are from the D800 menu. Your menu may look a little different. Hold down the two buttons marked as “Format” in red to format your card. Notice that on the control panel (top screen), one card is flashing. This is the card that you are about to format. Go ahead and format that card by pressing the two buttons again. Now, hold down the two buttons to format your card. Notice the same (primary) card is still flashing. Turn the command dial (rear wheel) one click. Notice that the card that’s flashing has changed to your secondary card? Go ahead and format that card. That’s it! Now both of your cards have been formatted in about half the time as the old way. Now when you’re reviewing images, you can zoom out to the thumbnail view and quickly scroll through using the sub-command dial (front wheel). This one is super simple and is just an act of observation. No need to change any settings at all! Have you ever noticed the number in the lower-right corner of your viewfinder and in the lower-right corner of your control panel (top screen) that looks like this: [r16]? If you don’t know what I’m talking about, grab your camera, make sure there’s a memory card in it, and press the shutter button halfway down like you’re focusing. Look in your viewfinder or on the top screen and you’ll see it appear when you press the button. Your number will probably be different, but you get the idea. Do you know what that indicates? It’s the number of shots remaining in your buffer. For the longest time I had no idea and couldn’t anticipate when my buffer was going to fill up. 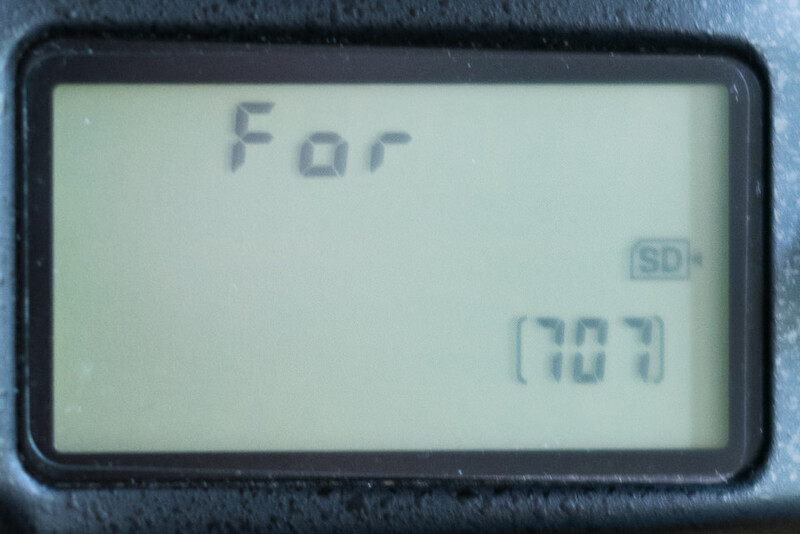 Now, when I’m shooting bursts of images I keep an eye on that number and know when I’m about to fill my buffer. If I happen to fill it up, I also can see when it starts to empty so that I can start shooting again. 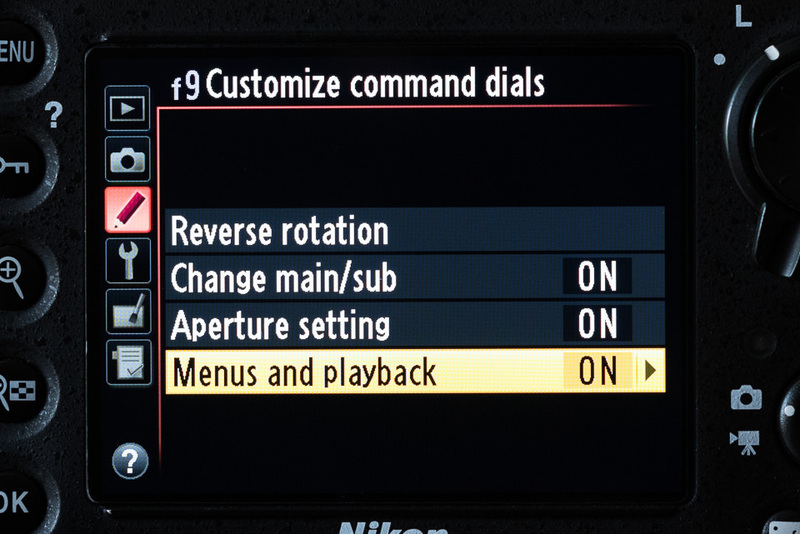 One of my favorite features of all Nikon DLSRs I’ve owned is the My Menu feature. If you’ve never used it, here’s a quick summary of what it is. Basically, you can create your own custom list of options from the different menus available in the camera, up to 20 items. I add a few of the top things that I frequently use and don’t want to have to search through menus for (Battery Info, Self-Timer Settings, Virtual Horizon, Time Zone, Auto ISO and Date). To set up your “My Menu”, just go into the Menu screen and scroll through the menus on the left until you get to “My Menu”. From there you can add items and organize it. Some cameras may have the option for >MY MENU while others may only have > Access top item in MY MENU. That’s it! Just choose which button you prefer to access My Menu and your most used menu items are at your fingertips. If you only have the option to access the top item in My Menu, not a problem. When you access the top item by pushing your chosen button, simply arrow to the left and you’ll be in My Menu and will have access to all of your other My Menu options. This is one trick I wish I had learned about years ago. Sometimes when I second shoot weddings with other photographers, they want me to use different camera settings than I typically use for myself. I’d find myself changing settings like white balance, image quality and which card was my primary before the wedding and then have to remember what I changed and change everything back before I started shooting for myself again. Once I discovered Shooting Menu Banks, my life changed for the better. What are Shooting Menu Banks? Basically, you can save the settings for your camera in a Bank (you can even name it so that you remember what it’s for). For example, here are the changes my body makes when I select my “2nd shoot” Bank: changes to Auto White Balance, records images as M-Fine JPEG to the primary card and RAW to the secondary card and changes my primary slot to my SD card. As the name suggests, the Shooting Menu Bank lets you create different banks for anything in your Shooting Menu, while the Custom Settings Bank lets you create different banks for anything in your Custom Settings. You can create up to 4 banks in each. If you don’t shoot weddings, you’ll definitely still be able to find a use for this trick. 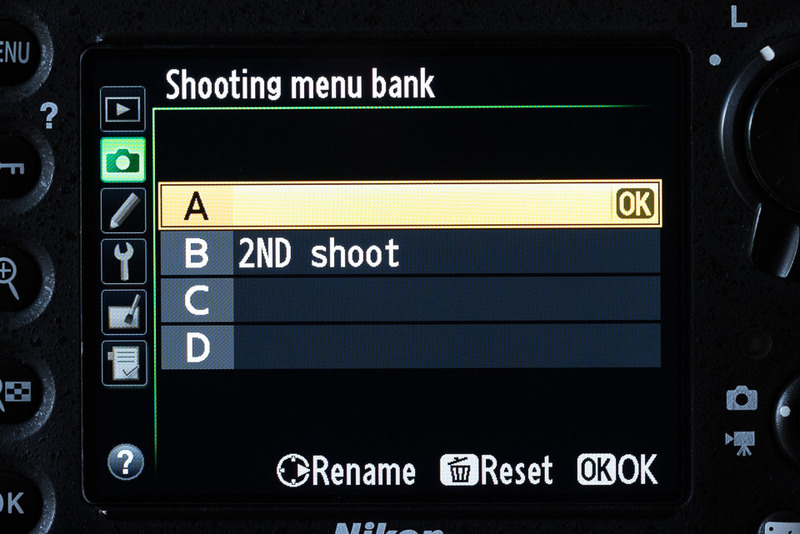 For example, you might want to have different Shooting Menu Banks for shooting in different lighting conditions. Or perhaps you could set up one bank for landscape photography, while setting up another for portraiture. You might have different Custom Settings Banks if multiple people use the same camera body and have different preferences for settings. You should currently be in Bank A, which means your current camera settings are saved as Bank A. To set Bank B, navigate down to B and press OK. You should now be back in the Shooting Menu and the first item, Shooting Menu Bank, should read B. Now, any changes you make to your shooting menu will be saved as the default for Shooting Menu Bank B. If you want to give Bank B a description, simply right arrow in the Shooting Menu Bank when B is highlighted. To switch back to Bank A and your original camera settings, just navigate up to A and press OK. If you own a Nikon D600 / D610 or D7000 / D7100 series cameras, you have even more user-friendly U1 / U2 settings that can be permanently saved, then accessed via the top dial of the camera. Another really neat feature that comes in really handy is the ability to instantly zoom in to a specified magnification level when viewing a photo. Instead of having to press the Zoom In / Zoom Out buttons many times, you can configure the center button of your multi-selector on the back of the camera. When reviewing a photo that you have just captured, pressing this button will zoom in and pressing it again will zoom out back to the full image. The neat thing about this feature, is that it zooms in to where your focus point was! That’s only six tricks, but I know there are many more out there that can save us all a bit of time and make our time spent shooting a little bit easier. These are my favorites, but I’ve got plenty more that I use. In the comments, please feel free to leave any tips that you think others might find helpful. Maybe we could do a second article with the best reader tips! Happy shooting! Glad you like it Marina! Once you get used to it, you’ll really miss it if you ever use a camera that doesn’t have it. Not able to get #6 to work on D600. Any suggestions? Thanks Nasim. This was a very useful article nonetheless. tell them we need it back. Great to see these all in one place. Thank you for taking the time to put it together. Glad you found them useful, Shawn! I look forward to your next list of tips. Thanks Norman. I hope we get some more great tips to share. Glad you enjoyed it Martina! Yeah #6 works in D7100 but not the D610! Weird. I do have a follow up question: some of the settings in the custom menu have a little * above the F , like f1 is *f1 (OK button (shooting mode)) Is there a way to change it to view mode? Patrick, that’s because Nikon decided to strip that feature out of the D600 and D610! If settings have a * in front of them, it means that the setting has been changed from the default value. I don’t think that is the correct description. It’s rather that these cameras, D600/610 and the D7000 which they are based on are too old. The feature was only added to Nikon’s advanced user cameras with the D7100. The “D620” will propably have the function as it will be based on a D7100 or “D7200”. I’m not sure about our last sentence. Nikon obviously looked for ways to cripple the D6xx in order to discourage folks who bought D8xx from moving down to the D6xx. This feature could be just another item on their list. Assuming there’s a D620, we may not see it there either. Of course I hope I’m wrong. Well if you change words we must discuss semantics. My comment was about the use of the word strip. Strip and cripple is not the same thing. To be able to strip, be it a feature or clothes, what is stripped must be there in the first place. And as the feature also was missing in D7000 that was not the case. Cripple can however in this context also be used about functions or features not included that exist on more expensive cameras, even though they were also missing in the predecessor camera. If a feature, especially a simple one only needing a firmware upgrade, have trickled down from the pro cameras I don’t see a reason for it not to be included in a D620. I also expect a D620 will get the FF version of the better, wider area AF module used in D7100. That is if Nikon keep doing their regular upgrade and not build a completely new type of body. The image review zoom feature on the central multi-selector button isn’t a new idea at all as it was included on the D700. The D8xx bodies are very different from the D6xx bodies too. The D800/810 have the same build and control layout that has feautured on the top level bodies for years. The D600/610 have the layout and build that started with the D7000 and continued with the D7100, although both lack some of the more advanced features of the D7100. The much older D300 has this feature. D300/s belongs to Nikon’s Semi-Pro line and is a predecessor of D700 and D800. The Advanced user line of cameras include D90, D7000, D7100, D600 and D610. The Pro and Semi-Pro line have had this feature long time. But it was only added to the Advanced user line with the D7100. My comment about the cameras being too old was not about the Pro and Semi-Pro cameras. The D610 is newer than the D7100. D610 is just a minor update of D600 fixing the oilspray issue. D600 was announced in September 13 2012 and D7100 February 21 2013. Therefore D610 is indeed an older construction than D7100, only with a few updates that didn’t include the function we are speaking of. Under normal conditions D610 would have been named D600s the updates are such minor. But as Nikon didn’t want the camera be to closely associated with D600 they used the name D610 for marketing reasons. I am not able to get #6 with my D7100…I’m I doing something wrong? Gio, this how you would do it on D7100. ” Custom setting menu”, “Controls”, “OK button”, “Playback mode” ” Zoom on/off”. Dmitry, Thank you for your reply, your suggestion worked perfectly. VERY useful and helpful … thanks! Glad it helped you, Patrick! Thank you. Very helpful. Looking forward to more tips. I hope to have more tips soon, Vick! I have a D40 (my first), then a D300 and now a D7000; I still use D40 that I get better pics than the two others that I rarely use. Any tip? Sorry, but I don’t have any tips for the D40, Jose. Maybe someone else does? You can set Fn button to change Iso setting. D40 has also a fully customisable “my menu” which is far better then any other newer Nikon. Tks Santoro, As I said, I have some difficulty to manage D7000, but I’ll learn. Thank you, I knew all the six tricks and except for 5) I use them all, but I’m sure many people didn’t know and will really appreciate this post. Today while I was exploring my D700 I found an option I didn’t know it existed and it’s really great, not much to save time but more to prevent accidental changes. This option, when enabled prevents the shutter and/or aperture dial to change the values we have set. This is really useful when we’re shooting manual and don’t want to accidentally change these values for a while. Obviously it makes more sense if we have a simple way to enable/disable this feature so I assigned my FUNC. button to make this change, so from now on, if I need to lock my aperture/shutter values, I just press that button and lock my values. Thanks, Ricardo! That’s a good tip to know if you need to lock your settings and I love the fact that you can set the Fn button to quickly turn it on or off. Thanks for sharing! Uhh, I hate break it to John. He has several Tips he say should work on any camera. The tips you mention only works on cameras 7100 – and up the 3000 and 5oo series does not have many of the features you mention. I doubt seriously he ever looked at 3000, 3100, 3200, 3300, 5000, 5100, 5200, 5300 camera .None of those camera’s have Black & White LCD screen that is on top of camera next to the shutter. Everything you see and can do is either on the Color Display on back of camera or in view finder. The subject Title should be changed to all Pro and Prosumer cameras. Phillip, I tried to note which cameras these would work on and think that at least #2 and #3 will work on any body. Can you confirm that they don’t and let me know which bodies you have so I can mention it? On #3 you’ll have to look in the viewfinder since you don’t have a top screen. I’m not trying to mislead anyone, just trying to help. Neither the 3000- 5000 series also have the LCD screen on top of the camera. Well, he DID state it would be in the top screen OR in the viewfinder. Been shooting Nikon for years and learned something very useful from your post. I have pushed the + for years to zoom…I kinda feel a little bit stupid as this one feature you described is so useful. Glad you found this out, Jay! Enjoy! Tricks? Proves you shouldn’t think you know it all and just read the manual. I had these all set up on my first Nikon after I read the manual! This guy was trying to help people. Your comment doesn’t help one bit. I knew about the ones that apply to my cameras but they’re worth repeating for those who don’t. The single most life-altering tip for me has been using the AF-On button to separate autofocus from the shutter button. I have no idea what all bodies this works on but it makes me smile every time I think about it! :-) See? One I find useful is turning auto ISO on/off by pressing the ISO button and rotating the front command dial… not sure which models this works on besides the D800 and D4. While on ISO, also on the D4 and D800, you can reprogram the movie button to be another ISO button, which allows you to make all exposure adjustments with just your right hand. Rory, you just made my day. I had never bothered to see what the Movie Record button options were. I just changed mine to ISO and think I’m going to love it! Thanks! I knew this works on my D800, but I use 2 D700’s besides the D800 shooting a lot of events. 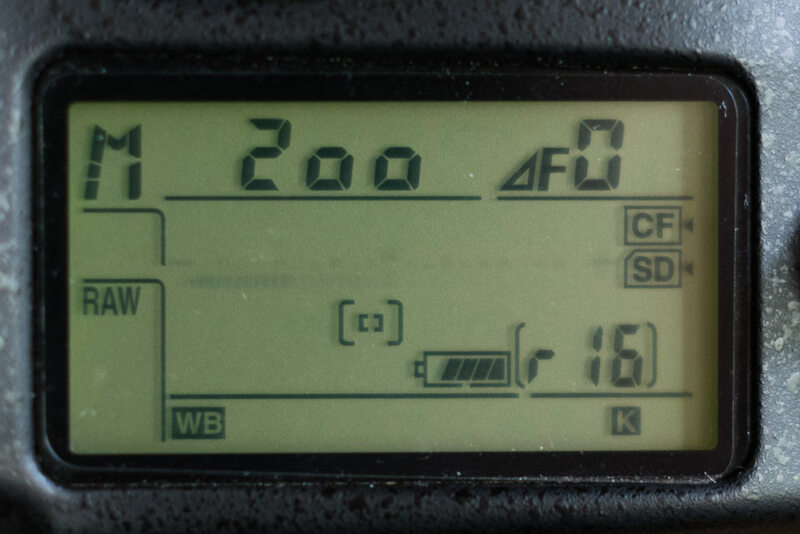 Now I’m used to this function on my D800, and can’t find a solution to make the ISO easy accessible on my D700’s! Is there a workaround to easily change the ISO while looking through the viewfinder? I tried to make the preview or Fn button with wheels change my ISO, but can’t find a way to make it (also tried it with “top function of My Menu, but that only opens it on the screen and I still can’t change it while looking through the viewfinder & change my hands). You are out of luck on the D700. C’est la vie. Thanks! Programming Function button to get me to delayed shutter release atop My Menu will save me lots of time and aggravation. Otherwise, very cumbersome. I shoot wedding and product photography and keep forgetting to adjust flash settings from commander mode for product and TTL. The shooting menu will prove very useful, I intend to try it today. Really great article. Very fine tips. Knew some of them but wasn’t aware of the Formatting & the Buffer Indicator one. Good stuff. Also, Tip # 6 above for Instant Zoom during Playback was new to me until Nasim showed it & adjusted it on my D800 during the recent London Photo Walk he had kindly conducted :-) Lovely tip that one too. In all, very fine & useful tips. Much appreciated. Cheers.. 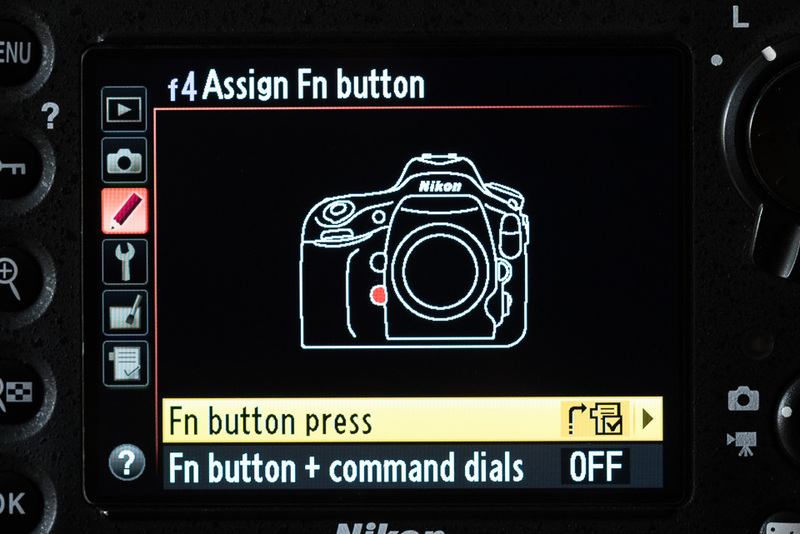 It will be very helpful if you can tell how to enable multiple focus points in Nikon D5100. When ever I try to take portraits of my daughter I am not able to keep her both eyes in focus. Nothing about quick exposure compensation? As for No. 5 (shooting banks) it is a shame Nikon don’t bother to endorse this option with the same functionality as the U1 U2 of the D7000 series. A real pity that the D800 series do not have the U1 U2 knob at all. However, they could at least program the shooting-banks in the same fashion, i.e., have the banks save the preferences so that one could always revert to them over again. The way it functions now is almost useless i.m.o. I’ll take consumer grade U1-U7 dial positions over the “professional” shooting and custom banks any day! It is criminally stupid that that Nikon setting banks can’t be locked down. Unless one reloads the bank settings from a memory cards every time (only later bodies can even do this), the setting values aren’t remembered if changed. It’s hard to believe Nikon has never implemented a firmware option to freeze the desired settings in place. I started to notice some of these features myself when I got into wedding and candid photography. It takes some time to get used to but its definitely worth it as it saves so much time. Thanks for this great article! Thank you so much for the above tips! I often wondered what the [r16] was all about!! Now to figure out how to keep my camera’s various other quirky issues! Great tips. The best thing I discovered which has made the greatest improvement in focusing accuracy is using the AF-ON button to focus and lock focus while in AF-C mode. Now I control when to focus, not the camera. The My Menu is great, but sadly it does not allow you to put some of my most used options in it. I don’t know why – but you cannot put the Auto ISO controls “Maximum sensitivity” and “Minimum Shutter Speed” options on it. So for those, you still have to go through the menus. It even says “This item cannot be used in ‘MY MENU'” when you try to select them. Having a separate button for “Set Picture Control” helps too. Because my models both have the AF-ON and AE-L buttons, (D800/ D300) I can use both to quickly compose and focus my shots. I don’t like the fact that the D4s for example only has one button. So I am trying to figure out how I would be able to shoot with the same ease as I now do when I upgrade. I was at a family member’s wedding and the “pro” there had not learned the tip on how to remove the “beep beep” from her Canon camera. All through the ceremony and the vows “Beep Beep”, “Beep Beep”. Very unprofessional and thoughtless. Wow, Beep beep from a Pro!!?? That’s the first thing I turn off. I’ve been known to turn it off for other people too. Annoying, to say the least, but during a wedding? Thank you, I’m still very new to all this went from a simple Nikon 3200 to a Nikon D800… A lot to learn but if I’m gonna take the time to learn I wanted it to be worth it. So thank you for the great tips. Can’t wait for more!! Having fun with my AWSOME camera. Hallo to everybody. Mr. Boshley, why would anyone take in and out the memory cards to formate them? Besides the two external buttons for formating, if you go in the menu at formating, the camera gives a very obvious choice of which card to formate. Choose one and off you go! It works this way on all Nikons with two card slots. That was really a weird way to formate cards. Yeah the quick format “trick” didn’t seem useful to me — I don’t mind a little friction when performing an operation that may accidentally destroy useful data. The other stuff is nice to know, though. You are SUCH a nice guy! A lot of people act like jerks on the internet (I do more than I care to admit), rather than speaking as they would face-to-face. You, on the other hand, handle praise as well as negative criticism like a gentleman. Thanks, Patrick. It’s way too easy to get worked up over little things. I just prefer to smile and accept the fact that even on something as simple as formatting memory cards, there won’t ever be a “right” way that everyone agrees on. That’s an excellent attitude John. Too many people think that the way they have chosen to operate is what everyone else should follow. They assume that everyone shoots the way they do, and there is only one way to do something. I would never, ever format cards with photos on them, in the camera, or on the computer. I don’t know how many horror stories I have read about people losing photos by doing this either in the camera or on a computer. When I am done a shoot … I drag and drop (copy) all the photos onto my C: drive into a new folder. Then I do the same to a Network external drive, and then I do a third drag and drop to a USB external drive only this time I hold down the shift key and it becomes a MOVE instead of a copy. When the move takes place, for every file on the card, it does a copy, then verifies the file is on the destination drive, and then it deletes the file from the card. You can never accidentally photos this way, and you always have at least 3 copies on different drives at all times for every photo. I also can put a copy onto my website as an added offsite backup. When your move is done, your card is empty and ready for the next shoot. No need for deletes, or formatting, and thus no chance for accidents. I’d always heard and read that you should format the cards, frequently, to refresh them and, thereby, avoid problems as the card(s) gradually degrade more quickly otherwise. The rest of your process is undoubtedly a good workflow. Yes, I have heard the same thing, but I have never formatted my cards and have not had a problem. However, I did not say not to format empty cards. I only mentioned never formatting cards with photos on them. If the cards are empty … format away … that won’t change the workflow at all. If you have a corrupted card, then formatting may correct it. However, it will not prevent the card from getting corrupted in the first place. Technically the first ‘or’ should be ‘and’ … but that being said … It recommends formatting the card before the first use, and again if you use the card in something else. Which is exactly what I have followed. And note that at no time did I recommend when to format your cards … I only stated my experience. What I recommended was the workflow to ensure you never lose a photo. I really like your move idea. I don’t know why I never thought of this! I always make a couple copies immediately and don’t format the cards for a few days (I have 16 cards that I rotate across Nikons and Oly’s) so that if something happened there would be a copy on the card. I also do a lazy store (usually just bulk a bunch to the web, very time consuming though) So far, I have not lost photos, but I like your immediate 3rd copy even better than my current system. I will be updating to this as it is very logical! A camera button configuration that I have found to be very useful, is to set the function button to disable the flash. f Controls – Assign FUNC. button (D700). This means that while using the flash, rather than turning it off to take a non flash photo, you can just press and hold the function button for that particular photo, then release it to resume with the flash. A very quick method. Bernard, that’s an awesome tip! I’ve always found it very cumbersome to turn off the SB-800 in the middle of shooting, especially if it’s only for a few photos. For me, this is an extremely useful tip! Thank you! Thank you for this article, yes the instant zoom is great. Every tip helps. I also was told about back button auto focus which I am getting used too. You’re welcome, Judy. The back button focus is great, but it does take a bit of getting used to. Nice tips; thank you for the column, John. The buffer one will be particularly useful. One feature I’ve been using on my D800 (& also works on D810) comes from Moose Peterson’s D800 settings from 2012. Go to Custom Setting Menu d7, item B & activate Show ISO/Easy ISO. With this feature in A (or S) priority, your command dial will allow you to control ISO! In other words, with your shooting hand you can control ISO, aperture (or shutter speed) and exposure value. 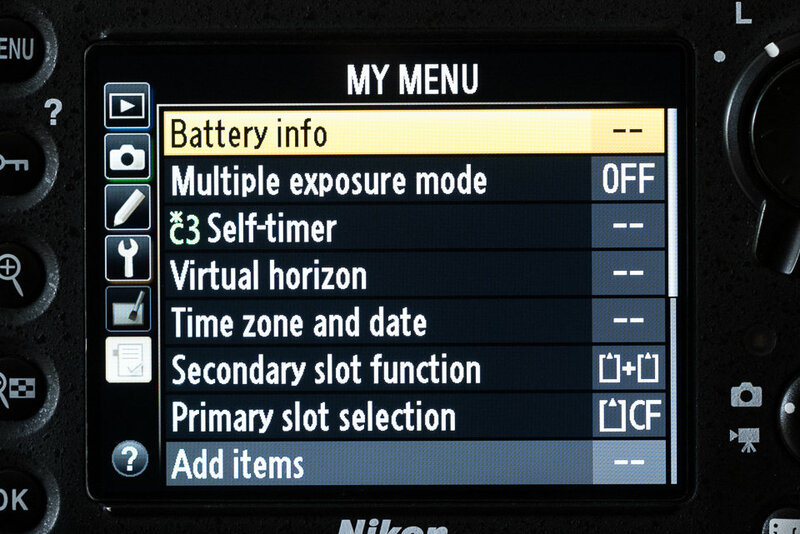 It is surprising that Nikon doesn’t advertise or play-up this feature (or that other photographers don’t mention it). I suppose the name “Easy ISO” makes one leery of using it (or everyone is shooting Auto ISO). Anyways, I find it incredibly powerful for my shooting. That’s a great tip, Martin! I always shoot in manual, so I never would have discovered this one on my own, but it will be valuable to a lot of people. Thanks for sharing! You may be one of the lucky ones who gets away with not reformatting your cards, but the day those links break because you haven’t taken care of them will be the last day you think you got away with it. Backing up is not going to help a bad card, ever. Not reformatting after each use or at least a couple uses is the worst advice I have ever heard. I suggest you do some heavy polling of professionals and engineers before you give this bad advice. Why you even formatted your cards in the manner you started out with is time consuming, wasteful and completely unnecessary. Which Nikon Camera Manual did you find that in??? As an engineer in the digital age for over 40 years I will give this advice: Reformat your cards, no matter what John Bosley says. It is better to know your have a failed card before you shoot than after you think you have photos to recover. Oh, yeah, and it doesn’t matter how expensive your cards are, DO IT ANYWAY. oops forgot: Try reading the D800 Manual on page 32 and 326. If you haven’t read Thom Hogan’s ‘Complete Guide to the Nikon D800/800E, version 1.05″, I suggest you buy it, as a D800 owner, and I suggest you look at page 144, “Card Troubleshooting” LOST CLUSTERS — copyright Thom Hogan, which prevents me legally from cutting and pasting here. Thom has been around the digital world a long long time also, and not just in cameras. His words for thousands of Nikon photographers is that of complete and total trust. To John for the strange way he formatted his cards. Sorry guys way too early in the morning for me I guess. Wow John, you need to take a breath and think before posting so many errors. You posted a comment accusing the wrong person of giving bad advice. You accused someone of giving bad advice about formatting when I simply said that “I” would never format cards WITH PHOTOS ON THEM … and I certainly stand by that. That is not advice, that is stating what I do. That is not advice. You replied outside of the thread you were commenting on. I quoted the D800 manual – stating when to format – which is what I have been following and all that I had stated. Everyone is free to follow whatever advice they want. I follow the Nikon manuals. I have never lost a photo nor had a bad card in shooting hundreds of thousands of photos. I advised people to never format cards WITH PHOTOS ON THEM. I didn’t ever state not to ever format cards. I stated what I did – not what other people should do – as your post did. My comments were about workflow because of so many posts where people have lost photos because they don’t have a proper workflow for how to get their photos transferred to their computers. And they formatted cards with photos on them. Had they followed my workflow (whether they format the cards or not) they would never have lost a photo when they did perform their formats. It wasn’t about the formatting – it was that they were formatting with photos on the cards as a way to clear the photos off the cards. If they were formatting for another reason I didn’t even address that. You totally missed the point, and accused someone of something they didn’t do, and even accused the wrong person. I did not advise people not to format, and I certainly didn’t give advice in ALL CAPS as you did. I merely stated my personal workflow, what I do, and the reasons behind why I do it that way. I didn’t tell anyone to follow what I did – as you did in your post. Please chill out and read the posts carefully before commenting, and you likely won’t end up falsely accusing two different people. I never found my way of formatting in a manual, it’s just how I used to do it. Just like you tie your shoes a certain way or cook spaghetti… you do it how you do it and get a result that works for you. It might not be how everyone else does it, there might be a better way of doing it, but it for you it works. I’d suggest in the future you re-read your posts and make sure you’re clear on what you’re saying and who you’re saying it to before hitting that “post comment” button. I don’t have a problem with criticism, but when you criticize the wrong person for things they never said things get confusing. I surely owe everyone a big apology. I clearly had my head up where the sun doesn’t shine and there is no excuse for me bing a jerk. I am very sorry. I promise, John and Steve, that will not happen again. I have always enjoyed this forum/blog and I can not believe I sullied it. Please accept my apology. None of you deserved to talked(typed) to like that. No worries, John. Apology accepted. It’s way too easy to blast off a comment without thinking about what you’re saying and I’m sure we’ve all done it before. Thanks for being active on the blog posts and being a part of the community! No problem John, … I’m glad you have such a good sense of humour about it! What tips do you have for us D3200 users? Sorry I’m a little late in catching up on this great item. I have used the zoom on playback for some years now (way-back on my D200) but I never knew that it zoomed onto the focus point. I do now!! With regard to formatting, I had to send back to Nikon a fouled up D300 because (inadvertently) I made some shots on a card I had some D200 shots on. On the next power up of the D300, the poor camera didn’t know what camera it was because of the two types of files. It threw a wobbly and decided not to boot up. Out of habit, and experience, I will ALWAYS, IMMEDIATELY, format a card I have just placed in a camera. Yes, as the Nikon manual states, you should format all new cards, and any cards that were used in other devices before using it in your camera. If you are not sure – then format it anyway – but I would never format a card that had photos on it (as I described earlier). If you are going to reformat a Card with photo’s on it, save the photos first to your Computer, then Reformat. 1). Remove card from Camera. 2). plug into computer when Mounts copy the entire folder to computer. 3). Now dismount the card. 4). A Context menu appears. 5). Choose Eject Name of card (whatever card’s name is). Icon will disappear from screen. 6). Now remove from Card slot. 7.) Insert back into camera and Reformat. If you want to add pictures Back Open the backup folder you just created. A). Insert card (or replacement card) you formatted back in computer. C). Now locate the same folder on Formatted card. D). Select all Files (on Mac use ⌘ – A / Select All) and drag to the same folder on Card. E). Once files have completed downloading, Eject SD card again and insert in Camera. f). When you turn on Camera you should see your pictures on the newly formatted card. Don’t do this if your going from say a D3200 Nikon to a D5200 or D7100. But if going to another D3200, or possibly a 3300, or from a D5100 to a D5200, or D5300 (have to be same Series 3000,5000,7000) then its Okay. I have done this myself with no ill effects. I moved some pictures from my D3000 which I sold (and reformatted card afterwards before selling) to my D32000. If this doesn’t Work out for you simply reformat the card again before using. There are lots of people who do that exact thing, and then lose photos because they don’t notice the copy failed, or they miss an entire folder on the card, and they choose to only take one copy as your steps seem to indicate. 1 – I drag and drop (copy) all the photos onto my C: drive into a new folder. 3 – I do a third drag and drop to a USB external drive only this time I hold down the shift key and it becomes a MOVE instead of a copy. When the move takes place, for every file on the card, it does a copy, then verifies that file is on the destination drive, and then it deletes that file from the card. It does that file by file. You can never accidentally photos this way, and you always have at least 3 copies on different drives at all times for every photo. When your move is done, your card is empty and ready for the next shoot. The key is not to do just one copy or move. If your card is not empty – then you didn’t move it properly and you know something is wrong. Otherwise, on a copy you would have no way of knowing, unless you compare file by file – size by size – that everything is there. If you have time to kill you can do that but you are still subject to mistakes and lost photos. So if you put your card back in the camera and it shows photos – then you know that a process failed and your photos are not backed up the way you think they are. A good way to find out you are about to lose photos you thought you had. Thus, if you get in the habit of never formatting cards with photos on them – you will never run the risk of this happening. And from the postings I see – it happens quite a lot. Mac and PC have different terms for doing the same thing. You turn off your camera before ejecting your SD card. You can duplicate the Copy as many times as many places as you want. When You open an SD Card on a Mac you see two Folders on Nikon Formatted cards. One has no Picture/Graphics Files. The other if opened up may show several sub folders of Photos depending upon how you use your camera. Or there may be just a series of picture Files. One way to Make Sure you get everything is Click on th SD Cards Icon to Highlight. Hold down the Option Key (Mac computer and keyboard) while dragging the Icon of the SD Card to another folder. You’ll notice as your Dragging the image will show a + symbol next to it. It is moving, this indicates copying. Once you have reached your destination folder, release to drop in that folder. When you go to to destination folder and open your copy of the SD Card files everything is Copied that is on the SD card. (I am using SD Card as an example because most Nikons – not all- use SD Cards I think the Mirror-less cameras use something else, and some of the full Frames use a combination and of course other Companies may use something different. The General Premise is the same. Can a Novice or someone that’s never tried this before miss some pictures. Sure if they are not careful. They need to look into every folder on the card and see where all the Photos are, and make sure they copy all the photos. What they can do is practice on a card with pictures that are of no value. Or that you have several backups of. Another point to bring up Software Programs such as LightRoom and similar can read photo’s from these file copies as well. So you can use this to place in Photo software and upload through them to your Photo Services such as Flikr , Picasa, ShutterFly or whatever you use. Thanks for the tips – as an I.T. Consultant for more than 30 years I do know how computers function. A safe workflow is not just for novices. Novices and Pros can all make mistakes. The whole point of my workflow is that it is foolproof. It works for every kind of card … CF, SD, Micro SD … The process is the same, and you are assured of not losing photos on any kind of card. There is no manual checking of files, file sizes, file dates, or comparing folders. It is simple, fast, and foolproof. This is so simple – yet so many people are asking how to recover from a mistaken format and lost photos. The problem is not their mistaken checking of the files, the problem is that the checking was not even necessary in the first place. Yes, you can do all kinds of time consuming checking and comparing but I would rather not have to do that since it is not necessary. With each manual check there is a possibility of error and thus the chance for disaster. A workflow that has eliminated risks is better even if it is more complex. This is not only less risky, but simpler and faster. It is a win, win – but you are all free to do whatever you like. I don’t have time to check over thousands of files every time I am done a shoot to see if I “got them all” when the computer can do it perfectly for me. It is time wasted simply for not following a risk free workflow process. The less time I waste checking over files the more time I can be out shooting. We use computers to do the mundane things like this exact example – for accuracy and safety. So I let it. But hey – I am lazy. I do make a couple copies on import with Lightroom. First I import into Lightroom, then immediately export to a NAS (RAID 5 ). The NAS is backed up nightly to a second NAS. Finally every two weeks I backup to the web. As a final precaution. I rotate memory cards so a copy is normally on the card for a few days after import in case something goes wrong. It’s simple and mostly automated. I haven’t lost pictures yet, but you never know. ..an SD card could easily fail! I am aware that the 6 Tips you presented here is just the tip of the proverbial iceberg. I have no idea regarding your target audience, but am guessing it is beginners to intermediate, not pros of highly dedicated hobbyist. That said, Items 3 – Buffer (status) Indicator seems not appropriate. Moreover, the logic of “waiting for the buffer to clear” to ensure NOT MISSING shots is ridiculous. Is the event going to stop while people wait for you to clear your camera buffer? Most, if not all, competent pros I know carry two bodies. While I do not make my living in photography, I carry two D800 when I am asked to cover an event. 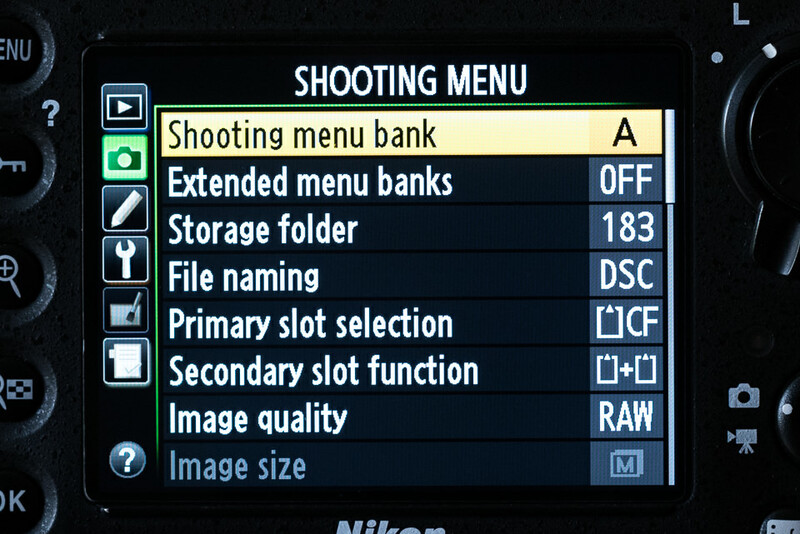 5) Shooting Menu/Custom Setting Banks is definitely a useful tool/feature for me, BUT this feature is NOT for the general Nikon DSLR users because these BANKS are exclusive to Nikon D8XX. But since you brought it up all four Custom Bank have identical Factory Default and all Shooting banks have identical Factory Default. Moreover, it would have been better if you stated (1) 4 Shooting Banks can be created, (2) 4 Custom Banks can be created (3) Each Shooting Bank maybe distinct from the other 3 Shooting Banks (4) Each Custom Bank maybe distinct from the other 3 Custom Banks (4) Any shooting bank can be used with any Custom Bank and conversely (5) Any changes to the camera will replace the saved settings on the ACTIVE appropriate Bank; i.e Shooting bank or Custom bank (6) The INFO button offers quick access to change either ACTIVE Banks (7) The Banks settings can be saved in the CF or SD or both cards, which can also be stored in a computer (8) The “saved” Banks settings can be restored or loaded from the memory card. (9) To restore Factory Default, simultaneously press and hold FORMAT and DELETE for about 3 seconds. PERHAPS, more appropriate than BUFFER STATUS and CUSTOM SETTING & SHOOTING BANKS is the (1) BACK BUTTON focusing and (2) Auto-ISO because these two are universal to every Nikon DSLR as well many, if not all brands of DSLRs.